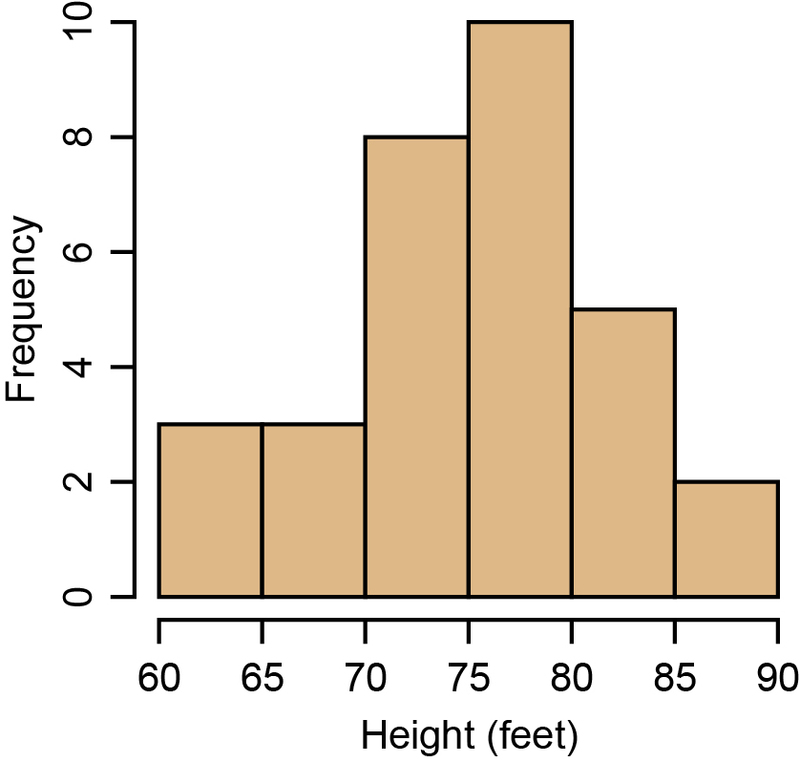 For numerical data we can display the information on a frequency table as a frequency histogram in graphical form. For categorical data we use a different type of graph known as a bar graph to represent the data. The horizontal axis shows the single values or classed intervals of values. From the histogram we can determine various useful values such as the mean, standard deviation and the total number of data values. The frequency table shown below represents the various heights at which cherries have been recorded to drop from. 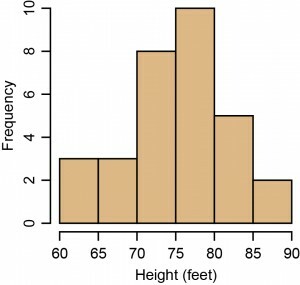 Below that table the data then has been displayed as a histogram to illustrate the practical uses.